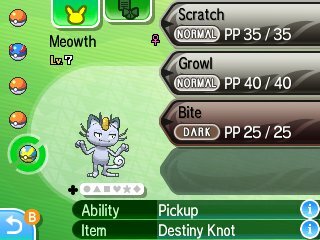 Like previous games, several Pokémon have the Pickup Ability. This Ability allows for the Pokémon to randomly pick up items. This can include consumed items that your opponents used in Battle, so if against the Red Card trainer in Route 3, it may pick up a Red Card. However, the most notable aspect of PickUp is the ability to just pick up random items. Sun & Moon changes this up a little bit with the item tables not having set values to set percentages, but rather having 100 items in the table and having multiple items appear multiple times.